Symmons Plains 1979. 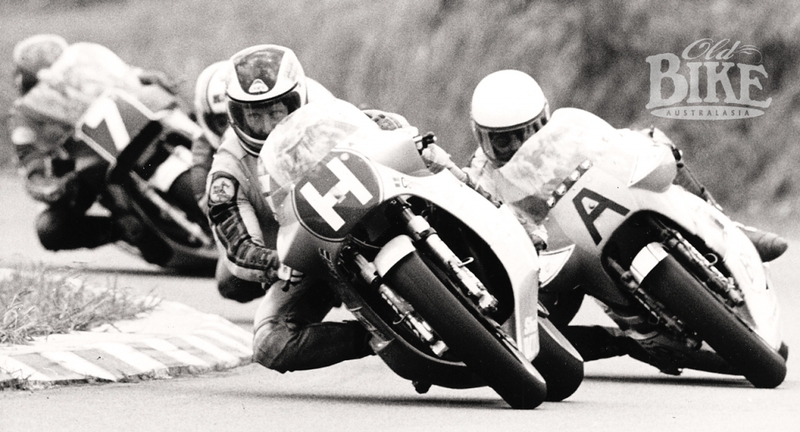 Greg Pretty (64) and Ron Boulden fire their TZ750s out of the hairpin. 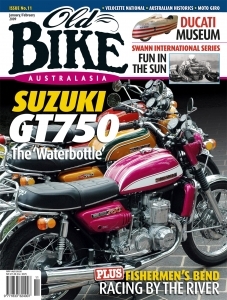 The idea of spending the off-season racing in Australia was attractive enough to riders trapped in wintry Europe, but it took decades to establish a true annual series. For eleven years, the Swann International Series provided that escape, as well as the chance for the locals to strut their stuff. It had been demonstrated before that during the European racing off-season, international stars could be lured to Australia to escape the chills and pick up some pocket money. As far back as 1936, Stanley Woods packed a couple of Velocettes and sailed south for a few months. Fergus Anderson did likewise in 1948/49, combining racing with record-breaking. World Champion Geoff Duke had brought his Gilera out for a triumphant tour in 1954/55, and the Moto Guzzi works duo of Bill Lomas and Dickie Dale had done the same the following year. 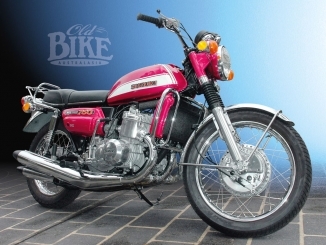 In 1963 Honda works rider Jim Redman arrived for a four-race tour, taking in Hume Weir, Oran Park, Longford and Symmons Plains. Giacomo Agostini arrived in December 1971 for a two-meeting engagement, along with 1970 500cc championship runner-up Ginger Molloy. Famously, his colours were lowered at Oran Park by Sydney chemist Bryan Hindle, but he won all his other starts. The Pan Pacific Series of 1972 pitted US Suzuki star Ron Grant, 1972 Daytona winner Don Emde, Englishman Cliff Carr, Malaysian Sonny Soh and New Zealander Ginger Molloy against Australia’s best in a series starting at Sydney’s Oran Park. The series then moved to Calder outside Melbourne, before culminating at Wanneroo Park in Perth. Grant emerged the overall winner despite a fairing-bashing incident in the final race that saw him and Molloy spear off the circuit. It was a promising start, but despite optimistic plans for a second series in 1973, nothing came of it. While Australia struggled to get a regular series going, New Zealand showed the way with the Marlboro International Series, which kicked off in December 1973. The main international name was US legend Cal Rayborn, who tragically lost his life in the second round at Pukekohe. Despite this setback, the Marlboro Series prospered for the next five years, before the title sponsor withdrew and a replacement was unable to be found. With the loss of the New Zealand races, things were looking bleak in 1978 until mid-year in Sydney, when plans were announced for a major international series in Australia, backed by the Swann Insurance company and carrying a total of $10,000 in prizemoney. 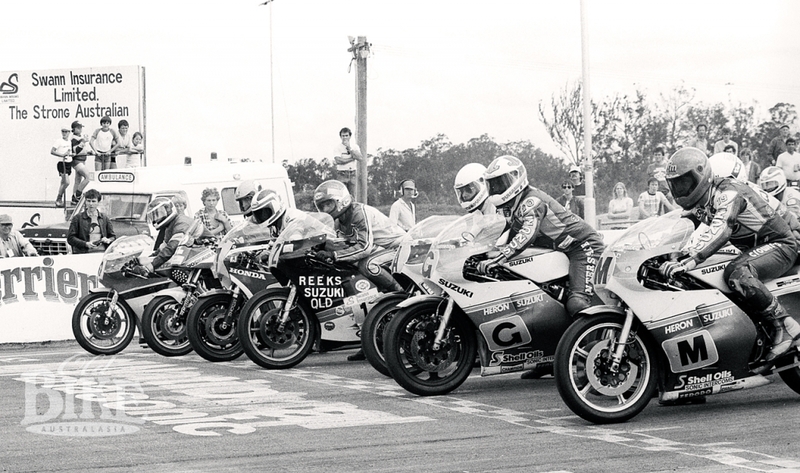 The format for the Swann Insurance International Road Racing Series allowed for unlimited capacity machines, with the grid dominated by Yamaha TZ750s. Imports were English Kawasaki works rider Barry Ditchburn, plus Kiwis Stuart Avant and crowd-pleasing Graeme Crosby on Ross Hannan’s 1000cc Yoshimura Kawasaki superbike. Things did not start out well for Ditchburn when his own machinery was delayed in transit, forcing him to secure a well-worn TZ750 from former Derbi works rider Barry Smith. When rushed to the first round at Oran Park, the Yamaha had not turned a wheel for twelve months and still sat on the same tyres it had last raced with. While Jeff Sayle dominated proceedings, Ditchburn showed plenty of spirit in hauling his mount to two fifth placings. Even worse off was fellow Brit Chas Mortimer, who’s ex-Kenny Blake TZ750 put a rod through the crankcases in practice. Frenchman Bernard Fau joined the series at the second round at Surfers Paradise, but flung his 750 H2R Kawasaki away at 200 kp/h on the fastest corner of the circuit while dicing for the lead. Meanwhile Sayle and Bob Rosenthal staged a mighty battle for the lead, which was resolved on the last corner when Rosenthal crashed, breaking bones in his foot. Avant put up a good show on a TZ750 that had been cobbled together by Eric Hinton, finishing second in both legs. Remarkably, the battered but very determined Fau fronted for the second leg, finishing a heroic fifth. At the final round at Calder, Jeff wrapped up the series with a pair of second places behind his brother Murray, who hoisted himself to second in the final standings ahead of Newcastle’s Gary Coleman. It had been a promising birth, and the infant survived. For 1979, prize money was upped to $13,500 and the star import was Dutch works Suzuki rider Wil Hartog, armed with the fearsome 653cc version of the square-four RG500. Accompanying him in the trip Down Under for the five meeting, eight race series were British Champion Bob Smith (on a TZ750 Yamaha leased from Warren Willing) and Malaysian Champion Fabian Looi on the latest production RG500 Suzuki. Hartog made short work of the opening meeting at Oran Park, winning the single 20-lap race comfortably from Ron Boulden, Stuart Avant and Greg Pretty – all on TZ750s. But the tall Dutchman crashed spectacularly in practice for round two in Adelaide, breaking his collarbone in three places. Smith was also a practice casualty and missed the meeting with a badly bruised shoulder, leaving local hero Greg Pretty to score a pair of wins from Boulden and defending champ Jeffrey Sayle. With his collarbone screwed together, Hartog was back for the third round at Surfers Paradise, but had no answer to Pretty, who won both races. A week later at Symmons Plains, Hartog’s Suzuki engine, along with Perry’s Kawasaki and Boulden’s Yamaha, was wrecked in practice by a faulty batch of fuel sourced from a local garage, forcing overnight rebuilds. In gale force winds, Pretty continued his stellar form, winning both races. At Sandown’s final single-race round, Pretty only needed to stay aboard to clinch the title, which he did to cap a grand year where he also won the Australian Unlimited Championship. That last race went to a determined Ron Boulden, after Hartog’s Suzuki jammed in second gear. Having a final ride (after Bathurst) on the Team Kawasaki Australia KR750, Graeme Crosby finished a fighting third behind Sayle. Newly-crowned World TT Formula One champion Graeme Crosby, now a Suzuki works rider, was the star name for the 1980 series, along with British Honda works rider Ron Haslam and American Dave Aldana on a Moriwaki Kawasaki superbike. On the GS1000R Suzuki, Croz won the opening race at Oran Park, but was well beaten by the determined Steve Trinder’s new RG500 Suzuki in the second leg. Pre-race favourite Andrew Johnson’s chances evaporated when he crashed in practice, destroying the Taylor Team Ansett TZ750 and breaking his shoulder. At Surfers Paradise, Crosby had a new 1100cc Yoshimura engine, but after winning the first race the motor slowed with broken rings and allowed Greg Pretty to take race two. On his home track at Adelaide International Raceway, Pretty was fired up, but decked the TZ750 while leading race one, handing the win to Crosby. Even worse was in store for Trinder when he crashed his borrowed TZ750 heavily in race two and badly broke his leg. The final round at Sandown was over a single 20-lap leg, which saw Crosby, Haslam and Ron Boulden locked in a furious battle. On the final lap, Croz missed a gear, bending valves but fortunately being able to limp to the line in third place as Boulden took the win. The overall crown belonged to the Kiwi, capping a great year and marking the first win by a four stroke in the Swann Series. With the future seemingly assured, plans for the 1981 series looked to have some unstuck mid-way through the year. But after months of problems and on-again, off-again announcements, the show finally got underway on November 21st at Oran Park. It had shrunk to a four-race, two-round affair, with Britain’s Roger Marshall and Kiwi Dennis Ireland the only ‘imports’. 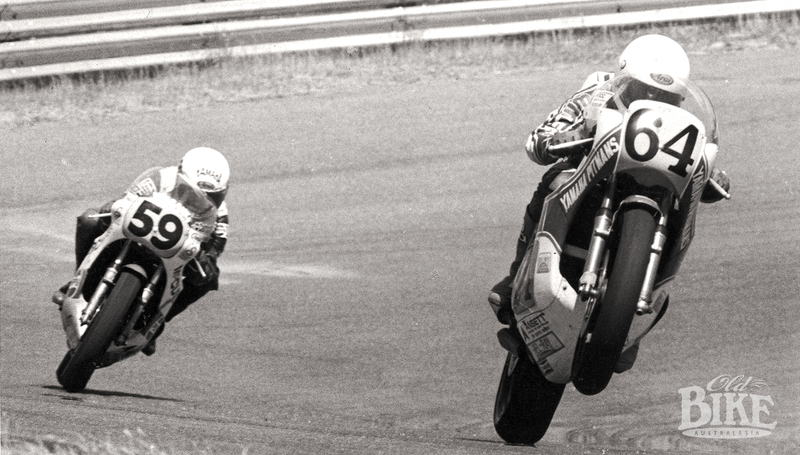 Gary Coleman pushed his Yamaha TZ750 to a win in the opening leg from Wayne Gardner’s Moriwaki superbike. Third came Steve Trinder’s Suzuki RG500; the Albury rider only recently recovered from serious leg and foot injuries in the previous year’s series. In race two, Coleman hit the deck, uninjured, but the hapless Trinder was not so lucky, crashing heavily and receiving multiple breaks to…what else… his other leg. The following week the series shifted north to Surfers Paradise, where Coleman made no mistakes to win both legs. Gardner played it safe with fourth and second places to wrap up the title from Coleman and Albury’s Rob Phillis. 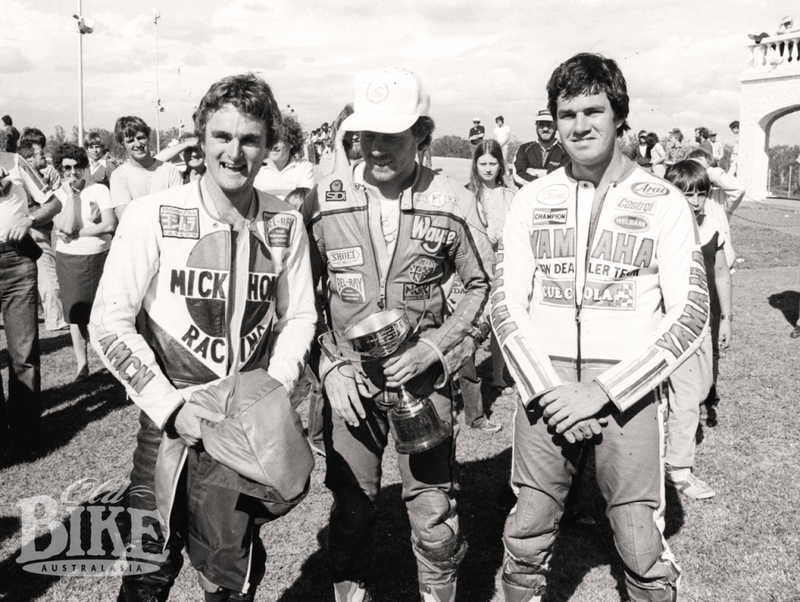 The rostrum at Oran Park 1981: Rob Phillis, Wayne Gardner and Ron Boulden. After the low-key 1981 affair, the injection of a $25,000 bonus for any rider winning all six races added extra spice for 1982. 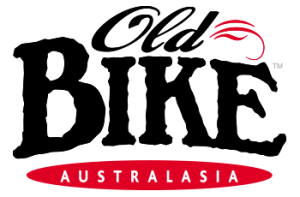 It would mean a total purse of $31,500 for the successful jockey, but after negotiations with several overseas stars broke down, it became an all-Anzac affair with Kiwis Stu Avant and Neville Hiscock the only challengers to the Aussie opposition. At the opening round at Melbourne’s Sandown Park on December 11, Avant rode his RG500 to two clear wins. Diminutive Paul Lewis carved his way through to second after a bad start in race one, then went out with gearbox problems when challenging for the lead in race two. 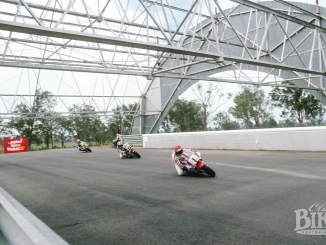 One week later at Oran Park, Hiscock had sorted out his revolutionary aluminium monocoque-framed Steve Roberts Suzuki 1000 and bolted to a pair of wins. The organisers breathed a sigh of relief that their $25,000 was now safe. Avant failed to repeat his early form and second place on the day was taken by John Pace’s 1100 McIntosh Suzuki. Avant was back on track to take the first race at Surfers Paradise’s final round, but Hiscock was right behind. In the crucial last race, Hiscock produced the goods to take the title from Avant and Victorian Andrew Johnson. Close company at Surfers Paradise 1982: Dave Hiscock on the Steve Roberts alloy-monocoque Suzuki leads Stu Avant, with Paul Lewis and Andrew Johnson behind. Live television coverage added the marketing angle needed for the Swann Series to come of age, arriving in time for the 1983 series. The Honda factory was sufficiently impressed to send a works RS920 V4 for 30-year-old Tasmanian earth-moving contractor Malcolm Campbell’s use. Reputedly one of only three built, the 920 was an over-bored 860 with a bore and stroke of 77.6 x 48.6. Just when things were looking good for the best-yet Swann Series, negotiations with returning Australian internationals Wayne Gardner, Jeff Sayle, Paul Lewis and John Pace broke down. This left the list of imports at Rob McElnea and Mick Grant, both on Suzuki RG500s, plus Avant and Hiscock – the latter with the latest carbon-fibre chassis for his GS1000-engined Suzuki. The ‘clean-sweep’ bonus was upped to $30,000. Perhaps smarting at not being selected to receive the ‘works’ Honda ride, Andrew Johnson leapt into an immediate lead in the opening race at Calder, only to throw away the Team Honda Australia RS500-triple and put himself out for the day. Team mate Campbell and McElnea shared the honours with a win apiece. Oran Park grid 1983. From left: Craig Bye, Rob Phillis, Mal Campbell, David Snape, Stuart Avant, Mick Grant and Rob McElnea. Johnson was determined to put things right at Oran Park, and he smashed the outright lap record on the way to two emphatic victories. But Campbell was runner-up each time, maintaining the overall series lead. McElnea impressed with a third in race one, but Grant only just scraped into the top ten in each leg. Johnson still had a mathematical chance of securing the overall win when the series moved to Surfers Paradise, and showed there were no team orders when he barged Campbell out of the way at the first corner. Campbell fell prey to a hard-charging McElnea three laps later, and the English Suzuki star was soon onto the rear wheel of Johnson’s Honda. With a series of record laps, McElnea pounced on Johnson with one lap to go and held the advantage to the chequered flag. In the three and a half hours before the final race of the series, the subtropical weather did its worse, dumping a huge deluge onto the circuit. Although the track was still wet, the sun was out as the field took the grid, making tyre choice a lottery. It was no problem for Victorian Graeme Muir, who only had slicks for his ancient TZ750. After the warm up lap there was a flurry of activity as those with the means to do so swapped rear wets for slicks, but McElnea’s front wet tyre lasted only a few laps on the abrasive surface before it began coming apart. Within five laps the surface was bone dry, and Muir streeted the field to score a popular but unexpected win. Behind, Johnson nursed the RS500 through to second, but Campbell did all he needed to; finishing fourth to wrap up the series – the first for Honda. Next week we look at the years 1984 to 1988.